Award-winning art-deco guesthouse in the Montevideo's Old City surrounded by historic cafes, galleries, museums, bars, restaurants and the River Plate. With our insider info, your stay in Uruguay will be unforgettable. 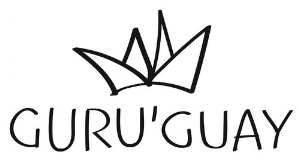 Thousands of people visit Karen's blog Guru'Guay each month. But when you stay with us you get the inside scoop personally – even before you arrive if that's what you need. All our rooms have a queen-size super-comfy bed and private bathroom. There's wifi throughout the Casa. Casa Sarandi's owners, Karen and Sergio, specialise in providing insider information to make your time in Uruguay truely special. No need for a car, you can walk everywhere. The Old City is packed with galleries, museums, bars, restaurants and surrounded on three sides by the waters of River Plate. and her guidebooks are the only travel books written by an author who actually lives in Uruguay. No surprise that they are Amazon best sellers. We’re looking forward to introducing YOU to all the secrets of Montevideo that we shared with travel expert and Vacation Rental Show host Matt Landau.